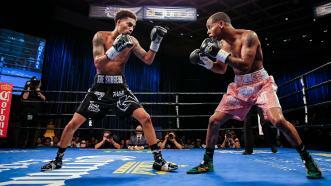 Lightweight contender Ladarius Miller (17-1, 5 KOs) won a competitive unanimous decision over Dennis Galarza (16-4, 9 KOs) in the main event of PBC on Bounce Friday night from Sam's Town in Las Vegas. 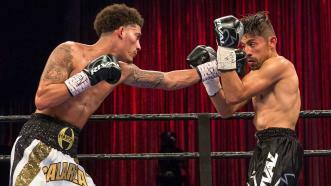 Lightweight contender Ladarius Miller (17-1, 5 KOs) won a competitive unanimous decision over Dennis Galarza (16-4, 9 KOs) in the main event of Premier Boxing Champions on Bounce Friday night from Sam's Town in Las Vegas. 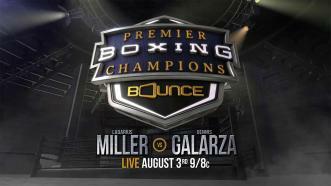 Rising lightweight contender Ladarius Miller meets Dennis Galarza in a 10-round PBC on Bounce showdown in Sin City on August 3, 2018. 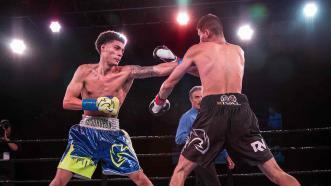 Lightweight prospect Dennis Galarza recorded his third straight victory via a unanimous decision over Mexico's Omar Tienda in the opening bout of a PBC on FS1 card on June 20, 2017 from Sam’s Town live in Las Vegas. 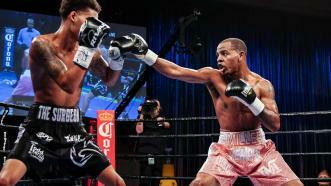 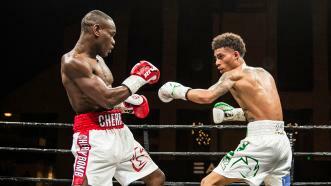 Cesar Valenzuela eked out an eight-round split-decision victory over once-beaten Dennis Galarza in a 130-pound clash.